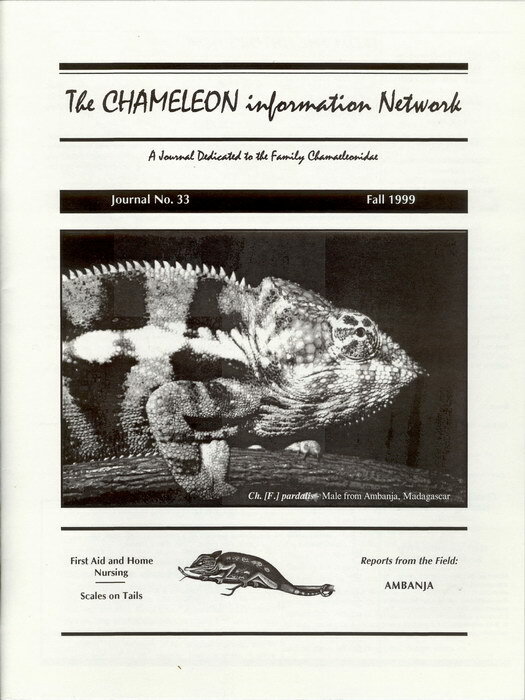 This issue of the "Chameleon Information Network Journal" contains a seven-page article by Ardi Abate entitled "Reports from the Field: Ambanja and Ankify, Madagascar" including a double-page spread featuring 11 colour photographs of Panther Chameleons. 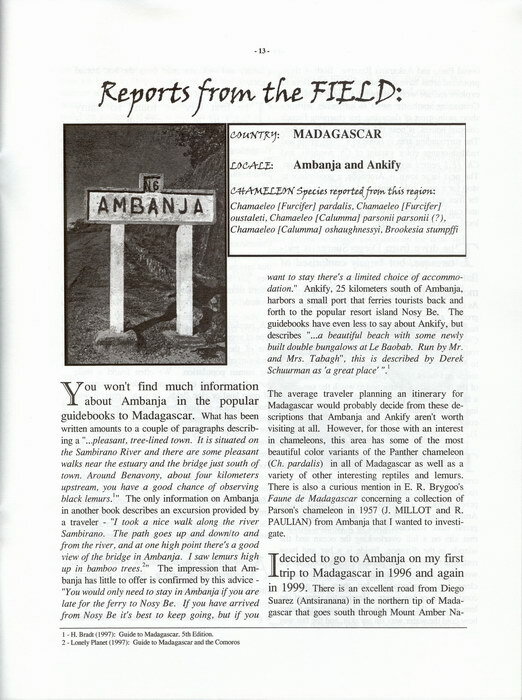 The article is based on two visits to Madagascar by the author (in 1996 and 1999). 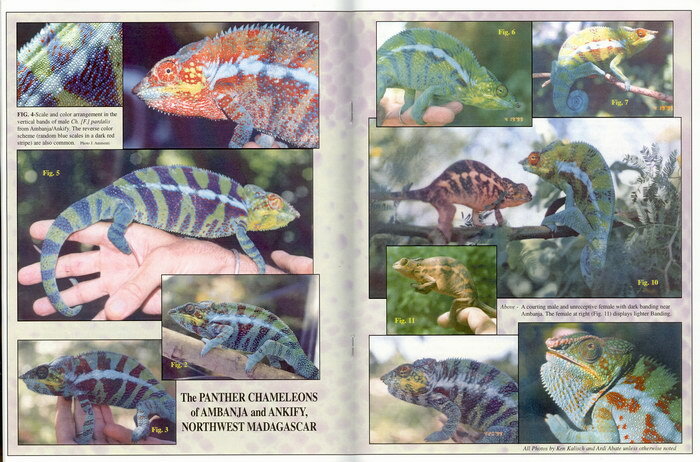 The cover of this issue features a photograph of Furcifer pardalis from Ambanja, Madagascar. 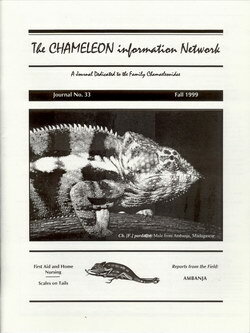 Mission Statement: The Chameleon Information Network is a worldwide organization of people with an interest in the Family Chamaeleonidae. Our purpose is to provide a forum for sharing information about these unique creatures in order to maximize their chances of surviving for the future. 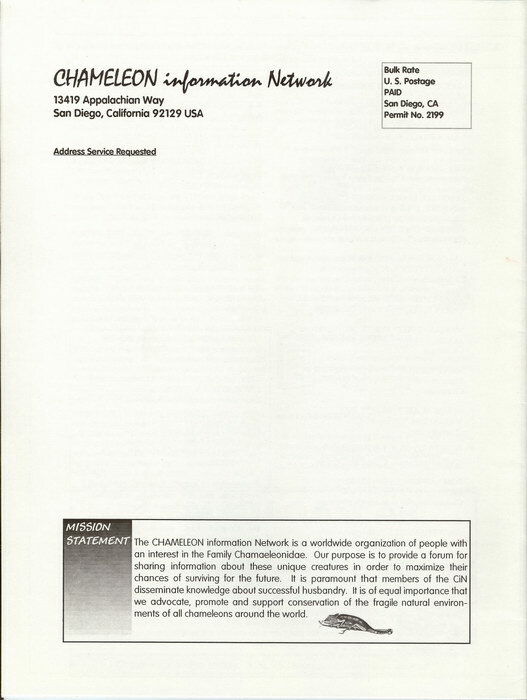 It is paramount that members of the CiN disseminate knowledge about successful husbandry. It is of equal importance that we advocate, promote and support conservation of the fragile natural environments of all chameleons around the world.